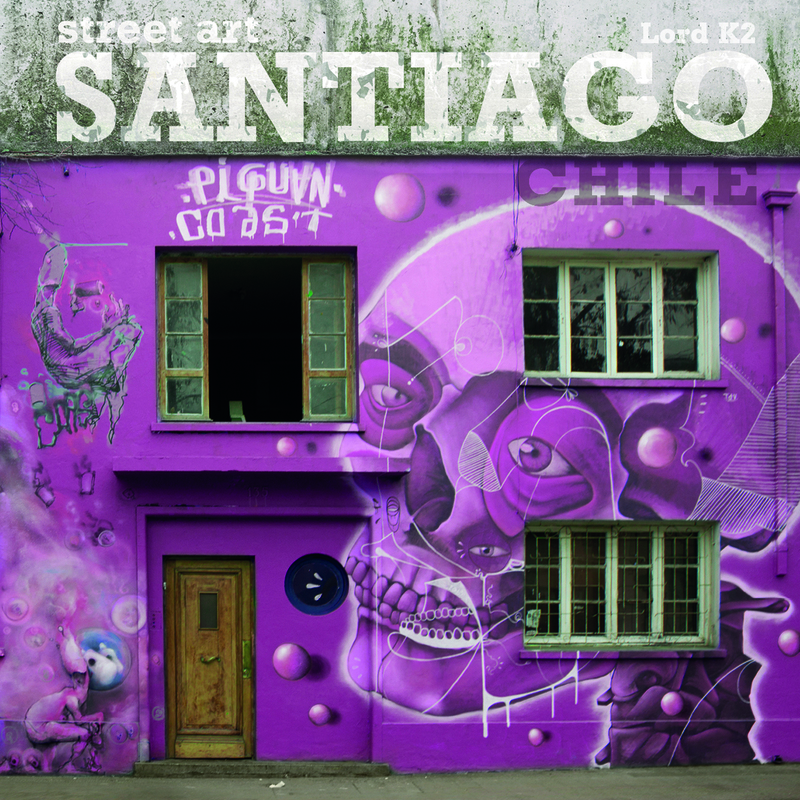 “Street Art Santiago”, a book documenting the thriving urban art scene in Santiago, Chile, was recently released by Schiffer Publishing. Written by David Sharabani, a.k.a. Lord K2, the book explores the highly evolved and active culture of graffiti and street art in the Chilean capital through the medium of photography and interview. Lord K2 is a photographer and graffiti artist from London living in Valparaiso, and in “Street art Santiago” has delved deep into what sets the Chilean capital apart in terms of the art and the artists, but also provides an interesting social, economic and political history to the development and current state of the genre in Chile. The scene is uncovered through more that 200 photographs and over 80 interviews, offering a unique insight into the Chilean culture of activism, muralism and graffiti. 14 different barrios in Santiago have been put under the spotlight, and the interviews deal with the influence of North American graffiti, New York in particular, on the styles represented in Chile, and also the effect of the end of General Pinochet’s dictatorship on the explosion of the medium in the city. A comprehensive and beautifully presented account of Chilean street art, Lord K2 also has a book documenting the Argentine scene in Buenos Aires set for release in 2016, which will undoubtedly prove an interesting read in terms of comparing the two South American capitals, geographically close but substantially different in the art produced in each city. Check back with our blog for more updates on this.